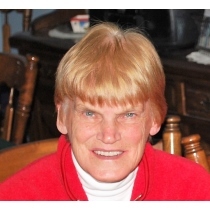 Margaret “Peggy” Greco, 77, of Bristol, lived a full life and passed away peacefully at her home on Wednesday February 6, 2019 surrounded by her family and friends. Peggy was born in Hartford, CT on February 23, 1941, the daughter of the late Vincent and Catherine Walsh. She moved to Bristol in 1969 and retired from Bristol Hospital. She is survived by her children and their spouses, Deb and Steve Oliver, Joe Greco, Laurie and Jeff Pratt, Jim Greco and Patti and Scott May; her grandchildren Justin, Joshua, Nicole, Sabrina, Kayla, Nick, Katelyn and Brianna; her sister Kathy Locario; her lifelong friend Jean Cormier and her daughter-in-law Kathleen Greco-Murray. Calling hours will be held on Sunday February 10, 2019 from 3 PM until 6 PM at O’Brien Funeral Home, 24 Lincoln Ave., Forestville/Bristol. A Mass of Christian Burial will be celebrated directly at St. Gregory The Great Church, Maltby St. Bristol on Monday at 10:30 AM. Burial will be at the convenience of the family.